The top two from each Group will go through to the 2019 tournament. 1. Greater num of points obtained in the Group matches between the teams concerned. 2. Goal difference from the Group matches between the teams concerned. 3. Greater num of goals scored in the Group matches between the teams concerned. 4. Goal difference in all the Group matches. 5. Greater num of goals scored in all the Group matches. 6. Kicks from the penalty mark if only two teams are involved and they are both on the field of play. 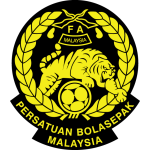 Get all of Malaysia latest football results for every football game they have played. See how Malaysia has gotten on in the UAE 2019 league tables, cup competitions and friendly games including the Asian Cup, Asean Football Championship & World Cup football tournaments. Get every football score, football fixture and football stats for Malaysia in the 2019-uae football season only at ScoresPro - the #1 Football livescore website for Malaysia! Get the latest Malaysia football scores and all of the Malaysia stats for all Asian Cup, Asean Football Championship & World Cup games in the 2019-uae season only at ScoresPro, the #1 football & soccer livescore website for Malaysia football!